Missouri University of Science and Technology has named its second solar house complex the EcoVillage. The EcoVillage is located between Missouri S&T’s Allgood-Bailey Stadium and Innovation Park along 10th Street in Rolla. 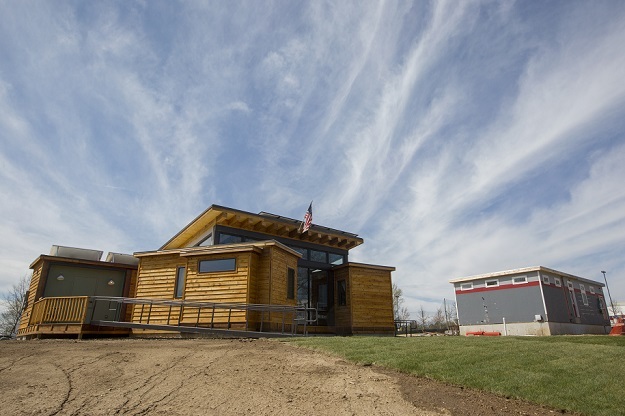 The site is currently home to two of Missouri S&T’s Solar Decathlon entries, the 2013 Chameleon House and the 2015 Nest Home. The new site has room for four other house-sized buildings, either future competition houses or other university construction projects. The EcoVillage is the second group of solar-powered houses on the Missouri S&T campus. The Solar Village, located across the street from the EcoVillage, features four past Solar Decathlon houses, a microgrid energy management system and an electric-vehicle charger.